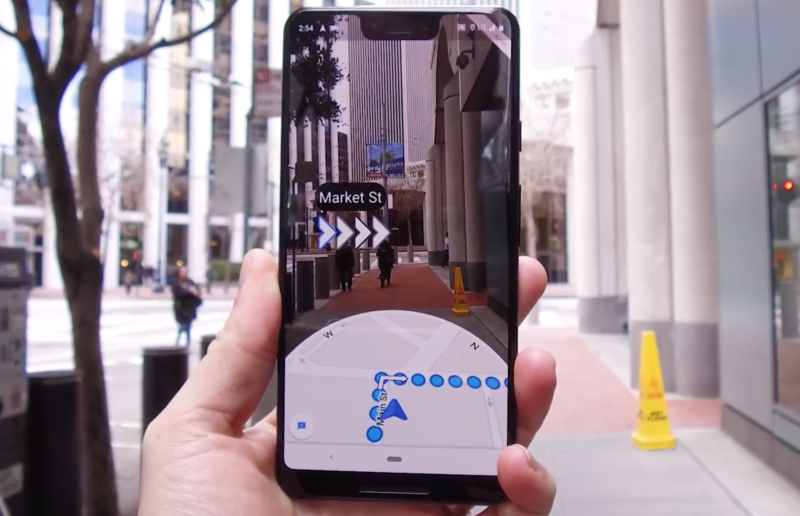 Back in May, Google showcased an innovative navigation system that leveraged the phone's camera to provide augmented reality GPS guidance. Although the demo was very promising, the feature wasn't expected to be immediately available, even for testing. However, the company is now letting select people, mostly Local Guides with access to a preview version of Maps, use the feature, and David Pierce from the Wall Street Journal was among the lucky ones to give it a first try. We've all walked for what seemed like miles in the wrong direction before realizing our phone's compass went berzerk and led us the wrong way. These days are almost over, as Google's AR-based guidance is gradually making its way into our lives. Although the version the WSJ tested isn't final, it helps us get a better idea of what's coming up. 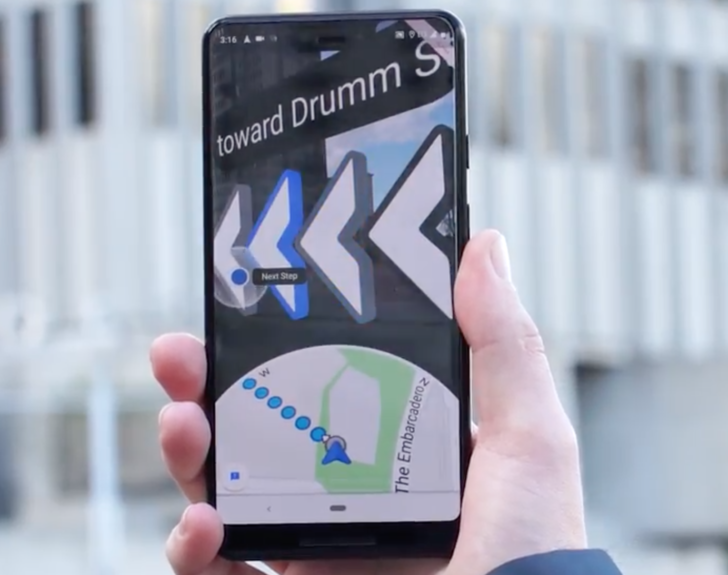 The future version of the Maps application will let you access a special AR mode through a dedicated button or by lifting your phone. You'll initially be prompted to move your handset around so it can recognize surrounding landmarks to compare them with GPS location and compass data. The app will then display your camera's input on your screen and overlay arrows pointing towards your destination. A traditional map will still be shown at the bottom of your screen so you can have a bird's eye view of where you're headed. Google isn't expecting you to use this feature throughout the entire guidance but rather wants you to navigate complex intersections more easily. Should you keep walking with your camera pointed at the street, the app will eventually ask you to put the device down to save battery as you're only supposed to use it sparsely. Although this feature seems to be exclusive to pedestrian directions for now, I would love to use it while driving. 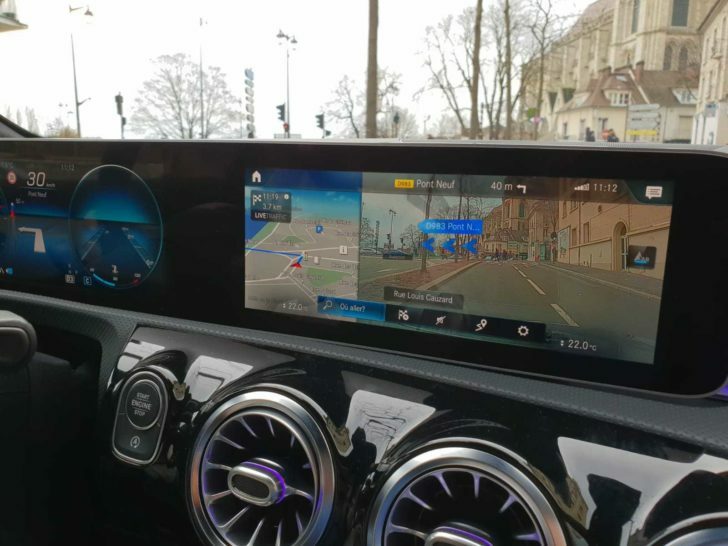 I've actually grown so accustomed to Mercedes-Benz's new AR-based MBUX (which you can see below) that I can't imagine going back to a traditional navigation system. I believe Google will work on additional safety features before it lets you use this one your mobile, as it probably doesn't want you holding your phone up while you drive!